Why’s it that some of us are insensitive to politicians that go through a bout of health issues? However corrupt or incorrigible as species they are, should politicians having health issues be treated with disdain and smirk on our faces? Senior Congress leader from Karnataka and party general secretary BK Hari Prasad’s reaction to BJP chief Amit Shah contracting swine flu and getting admitted to All India Institute of Medical Sciences (AIIMS) is in poor taste. Hari Prasad mocked and taunted BJP chief in inexplicable words citing a failed bid by his party to destabilise the Congress-JD(S) government in the state. Why link personal health issues of Shah to the political wrangling between BJP and the opposition parties? Have some lost modicum of public decency and decorum as lawmakers? BJP’s reaction to Hari Prasad’s utterances is not in good taste either. What kind of narrative does the largest political formation pursue? Should Hari Prasad be designated as a ‘rogue’ in a party with ‘dirty culture’? When elections are round the corner, usually the political attacks get sharper and quick. Lowering the level of political discourse may not help anyone. Hari Prasad’s statement need not be seen in isolation. There have been several instances where ill health of a politician is either mocked at or shrouded in secrecy. Case in the point is Finance minister Arun Jaitley leaving for New York to get a medical check up done. 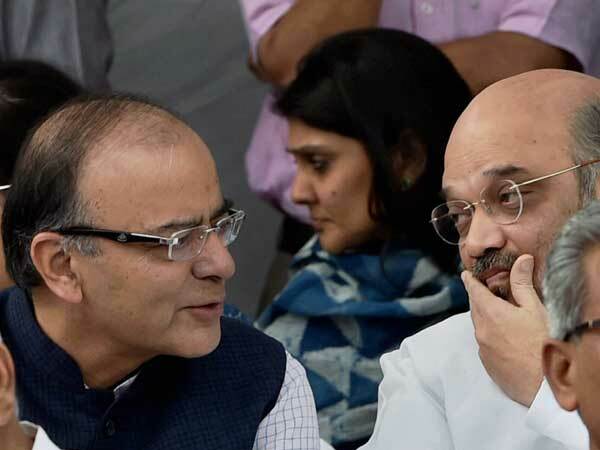 While some reports suggested he was suffering from cancer, official response was that Jaitley will be back by January 24 to present the next budget after a routine check up. Only in May 2018, the Finance minister underwent a kidney transplant and now there have been unconfirmed reports of him getting treated for cancer. Without waiting for a word for a confirmation on Jaitley’s health, the entire Congress leadership led by its president Rahul Gandhi was out in full force to send out ‘sympathetic’ messages filled with glee. Bizarre was IT minister Ravi Shankar Prasad’s case when he landed up at AIIMS the other day for reported congestion, breathing issues etc. In two days, the social media was abuzz with the possibility of him having contracted swine flu like his party president. But, why can’t politicians be given space to cope with a possible health issues? When Sonia Gandhi went to London for an annual medical check up last May after her surgery at a US hospital way back in 2011, again the social media networks and those purportedly close to the BJP went berserk with uncharitable comments. This provoked Rahul Gandhi to hit back at trolls saying, “don’t get too much worked up, will be back soon”. Not many were willing to back off from rumour mongering when External Affairs minister Sushma Swaraj got a kidney transplant done in 2016 at AIIMS. Some ‘fake news’ mongering social media accounts even predicted that she would be relieved from the council of ministers. Why can’t Sushma get treated for diabetes or kidney transplant done like any other Indian? Can’t we show some empathy at least as a fellow citizen? Yet another leader that faced very tricky situation as he recoups from severe illness is Manohar Parikkar, hitherto Defence minister. In fact, a local leader Trajeno D’Mello even filed a petition in Goa bench of Bombay High Court seeking medical examination of the state chief minister. Though the court set aside the petition and reprimanded the petitioner, the moot point is should D’Mello be allowed to play politics and seek cheap publicity citing Parikkar’s health issues? One’s memory is etched with the controversy surrounding Rangarajan Kumaramangalam’s treatment at Apollo Hospital and later in AIIMS that virtually became a public spectacle and national debate even way back in 2000. ‘Ranga’ as he was popularly known died as union power minister owing to multiple organ failure. But, businessmen with interests in power sector pacing nervously in the precincts of AIIMS as health bulletins indicated his deteriorating health was also widely reported both by visual and print media outlets. Trial by media on supposedly ‘dirty’ deals clinched by Ranga were talk of the town days leading to Ranga’s funeral. No less was the controversial end that befell Tamil Nadu’s then reigning queen, J Jayalalithaa. As the Tamil cinema’s most sought after heroine and the lady who ran AIADMK with an iron fist, Jayalalithaa was the quintessential ‘Amma’ for her party cadres and followers. But, the controversy and insensitivity was palpable on reports about botched treatment at Apollo in Chennai, political jockeying within her party only heightened the death of a hugely popular politician. Several politicians’ health issues or death have become media events thereby forcing some leaders to keep their ‘ailments’ a secret. For instance, when parliamentary affairs minister Ananth Kumar flew first to London and then to New York supposedly on a ‘family holiday’, very few were aware that he suffered from stage four cancer. Officials have even claimed that prime minister Modi and Amit Shah were unaware of Kumar’s condition. Only when treatment at New York went awry was the government top brass alerted on Anant Kumar’s deteriorating condition. Very few were even aware that Kumar refused to meet even his party’s top brass during last few days at a private hospital in Bengaluru. Many politicians prefer to be treated abroad just to escape the public glare and trauma of facing insensitivity back home. So, is there a way to deal with the lack of sensitivity towards politicians? Do we need a policy to deal with peoples’ representatives’ health issues?